Wild Horses have a permanent place on our Public Lands, within our minds, as well as legally. The truth is our nation’s icons, Wild Horses on our Public Lands, are being wiped out by industrialists, by welfare ranchers with their cattle and sheep, by hunters, and ironically non-profit charitable organizations advocating animals’ protection but abusing them by darting, or use of breed controls, based upon industry and their lies about wild horse over-population. These are people that wave the American Flag, yet hypocritical, as the fact of wiping out an icon such as the Wild Horses, apparently paramount and on their minds, for their special interests, or in particular, their monetary interests . . . Ethics and Federal Laws tossed-out the window when it comes to money $$$ and influencing their life style. With a solid-ground, observable by their actions, of pathological mind-sets, and soon we have more and more threats, real threats, to our nation’s Food-Supply, and what is also referred to as well, Federal Lands. The Bureau of Land Management and the USDA Forestry are not, and never have done so, managed these lands competently; that is, there is no Lands Management paradigm associated with longevity nor competence, when coming to actually Public Lands Oversight. This also includes Regulatory Oversight, which is accomplished hardly ever, and the Federal Laws that seek proper management over these lands, simply not enforced — what so ever. Now we are looking at the result of No Oversight, no situation of Law Enforcement, and this develops into a drastic situation – Contamination of our Food-Supply, reaching dangerous levels . . . This was just the noteworthy beginnings from years back, and we see many more dead Wild Horses on our rangelands where Law is clear – their home lands, their Foals dead, Stallions left to bleed-out after castration, or horses shot and killed, and ALL on the Rangelands, the Mountains, the flat-Lands and valleys, and mostly where there is Energy sites, Fracking sites, overpopulation’s of cattle, pasture lands, and many areas where industry or agricultural pesticides used, fertilizers used, and growth hormones used, and pesticides for particular breed-control of wildlife species, — and the truth is, the wildlife being wiped out or darted with poisons, actually needed within Ecological Zones to provide health and longevity within our Wilderness and Natural areas . . . of course, when Our Nation’s Public Lands managed properly, but are not at all today. “Acceptable Limits of Regulatory Oversight”, then stating everything is okay and it is simply “Fringe-Elements” creating havoc and unrest . . . Our nation’s grasslands, grains, and meat supply remain poisoned or contaminated with human-made pollutants, which over-flows into water supplies both surface and underground supplies, and on it goes . . . The chain-of-events in place, and there is essentially nothing, or no one, stopping it. Unfortunately, this gap in knowledge remains quite large even today, where truth is nothing more than a joke to industrialists, bankers, and government agencies alike. But we do see interesting developments, in attempts at covering-up some of these tragic events, and from the Bureau of Land Management, as well as our nation’s USDA Forestry. Many of us in the field, find more and more dead wildlife and livestock, ironically it is inclusive of cattle, sheep, wild horses, Elk, deer, and such small critters as raccoons, skunks, and other rodents, and many more species. What these animals have in common, is the fact Keystone Predators as well as insect predators, have no interest in these dead animals, at all. Maggots, normally on sun-rotted meat, simply are not there, and over days an untouched bloated carcass, as well as some having exploded, and nothing – no predation, neither specialty insects nor maggots. To say this is not-normal, is a truth beyond all other truth, or deceptions to cover it all up. Then suspicions become of paramount significance, and we start to search for consistencies. 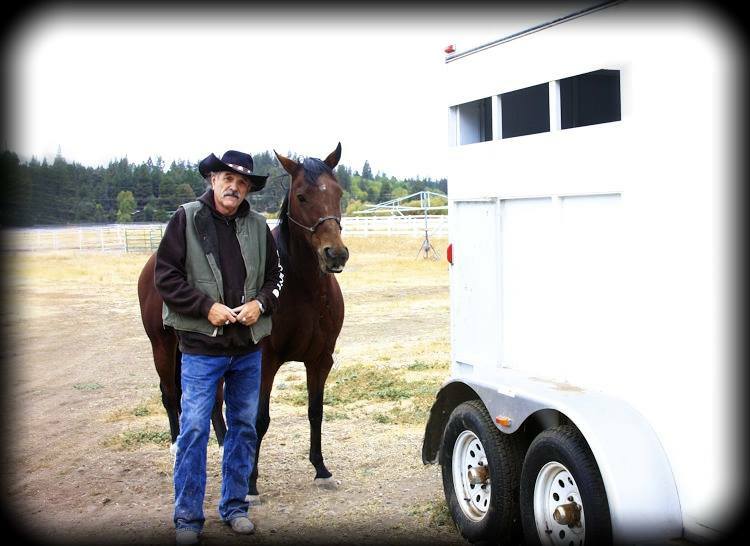 . . out of necessity, to keep our food-chain wholesome, and to save our Wild Horses at the same time (i.e. among other wildlife), who in today’s convoluted government management ideologies, get the blame for it all. When the Wild Horses destroyed, and sent to extinction, our civilization soon to follow, a metaphor conclusive in “fact” and sadly to us all, of noticeable proportion . . .
Ironically, and what we find in remote areas on our rangelands and forests, Wild Horses, to include a Mare’s Foals (many observations of such), are not only left untouched, on rangelands or in the mountains, but not even so much as a track around the bodies from a cougar, from a bear, from wolves or bobcats. The poisoned, and radio-active (and other poisons and pesticides et. Al.) wildlife scent — the “red-alert” to all others — Stay Away; except humans . . . profits the rule of order . . .
Pesticide poisoning to wildlife may result from acute or chronic exposure, via secondary exposure or through indirect effects to the animal. This is why regulatory measures set in place to “regulate the handling” and the areas where it can be used – when neglected, in truth harmful activity develops . . . which is a reality the ignorant folks like to set-aside and pretend do not exist. Mostly used in Breed Control, or “Over-Population” decrease — we conclude, from observation as well as logistical lands mass and wildlife availability, that pesticides damage ecosystems, damage or harm to non-target plants and animals, decrease bio diversity, decline populations or even cause extinction of species i.e. Wild Horses and any other predator or hooved animal. Besides this pesticide “Mess Up” — food chains and webs infected, but also simply disrupt the natural balance in ecosystems; therefore, it is necessary that a strict vigil should be maintained during pest control operations, to minimize the after effects of pesticides and to save the environment and natural balance in ecosystem, which we discover is “ignored” most often . . . ignorance at its very worst, poisoning Our Nation’s Food-Chain . . . and no one admits it but all know, how could they not know? Over the past few years, we have seen the Pesticide PZP, used in wilderness areas as well as ecological zones, and used irresponsibly. We find, in the United States and in Canada, the “darts and containers” of this Pesticide (e.g. a bag of 43 darting containers and darts tossed into a creek, in Oregon, and also the same amount found in Canada Creekside, and in Nevada as well, near water outlets and in rangelands where horses’ Darted), in areas where testing of this pesticide were simply not done – sales the motivation and not safety, but rather waived, as EPA Forms show us quite distinctly. Again, yet another situation, similar to oil and energy situations stated above, and currently adding the use of breed controls, registered as Pesticides, found more and more in wilderness areas – i.e. wild horses, believe it or not, were reintroduced congressionally, as pests and as livestock, and we find the Humane Society of the United Sates as well as supposed non-profit charitable organizations, not only supported these endeavors, then lied also about the Wild Horses population on our Public lands, then using Pesticides for Birth Rate Controls – so much for the “charitable” designation and what it used to mean within the non-profit world, today it means “profits” over all else, and that includes over integrity as well as ethics, sadly. . . In birds, exposure can impact the bird’s ability to sing and therefore decrease its chances of successfully attracting a mate or establishing a territory, impacts the birds care for its young, causing the nestling to starve. Some pesticides are endocrine disrupters, causes failure of development in organism, reproduction behavior, immune system and neurological problems, as well as the development of cancer. Researchers have found that the toxic effects of low-level combinations of certain chemical pesticides can be greater than the sum of the effect of the individual components. Studies show a range of altered behaviors including mating and parenting, nest building, activity level, predator avoidance and foraging. Pesticides may impact wildlife through secondary poisoning when an animal consumes prey species that contain pesticide residues e.g. Birds of prey becoming sick after feeding on an animal, that is dead or dying from acute exposure to a pesticide, and the accumulation and movement of persistent chemicals in wildlife food chain. Pesticides may also impact wildlife indirectly when a part of its habitat or food supply is modified, e.g. pesticides may reduce food, cover, and nesting sites needed by insect, bird and mammal population; insecticides may diminish insect populations fed on by bird or fish species; insect pollinators may be reduced, thereby affecting plant pollination. Honey bees are important pollinators of many food crops. Pollination is vital to food production; approximately one third of all human food production is dependent on pollinators. Researchers found that due to insecticidal impact, estimated pollution by honey bees’ losses to food production, which is directly related with economy of nation. Acute Poisoning Short exposure causes kill wildlife e.g. Fish kills caused by pesticide residues carried to ponds, streams or rivers by surface runoff or spray drift, bird die caused by foraging on pesticide treated vegetation granules, baits, seeds or insects. These poisoning can be substantiated by analyzing tissues or by biochemical investigation processes. Chronic Poisoning Exposure of wildlife over an extended period of time to pesticide levels not immediately lethal may result in chronic poisoning e.g. Bird mortality resulted from chronic exposure of organo-chlorine insecticides on reproduction in certain birds of prey. Secondary Poisoning Pesticides may impact wildlife through secondary poisoning when an animal consumes prey species that contain pesticide residues e.g. Birds of prey becoming sick after feeding on animal, that is dead or dying from acute exposure to a pesticide, and (2) the accumulation and movement of persistent chemicals in wildlife food chain. Today, and in the United States, our concern is the destruction of our natural resources and our wildlife, indirectly or directly – due to complete ignorance about the pesticide being used, by government agencies, non-profit organizations, and under false-pretense. . .
Often, with today’s government agencies, developed is the occurrence of more and more “outright lies”, in this case the lies, to essentially cover-up fraudulent activity directly involving the categorical misinformation, or lies, about the Wild Horse on Our Public Lands, being over-populated. The “facts” show us they are not over-populated on our Public Lands. Once again, a metaphor or negative conclusion when government agencies involved, that outreach to the very basis of Our Nation’s Polluted Food-Supply. We need to establish more truth within government, regulatory measures to oversee “government contracts” or reasons for “budgets” and oversite within procurement before taxpayer money spent on nothing more than lies, for special interests or conflict of interests; which, is very abundant today within the Public Lands Management realm. We must then Mitigate the ongoing destruction, on our Public Lands and about our nations wild horses (which should be preserved and built upon, not abused, darted, then sent to slaughter) with truthful non-special-interest driven-data, developing a quality hypothesis-driven science; this, in order to support decisions, rather than random and monetary decision-making from no data to little data, or misinterpreted data through bigoted-reasoning, bias, or from total ignorance — profoundly, and also in today’s government agencies that manage our Public Lands; whereas, ignorance and bigotry, with strong bias, often governs the decision making process and especially within our Lands Management agencies, costing taxpayer’s insurmountable dollars and cents, that are needed in other realms of America. . .
Llewellyn GT, Dorman F, Westland JL, et al. Evaluating a groundwater supply contamination incident attributed to Marcellus Shale gas development. Proc Natl Acad Sci U S A 2015;112:6325-6330. Hartung R. Some Effects of Oiling on Reproduction of Ducks. The Journal of Wildlife Management 1965;29:872-874. Portmann JE, Connor PM. Toxicity of several oil-spill removers to some species of fish and shellfish. Marine Biology 1968;1:322. Rowe LD, Dollahit J, Camp BJ. Toxicity of two crude oils and of kerosine to cattle. Journal of the American Veterinary Medical Association 1973;162:61-66. Gardner DL. Toxicity of waste petroleum-products in cattle. Veterinary Medicine & Small Animal Clinician 1977;72:1874. Edwards WC, Coppock RW, Zinn LL. Toxicoses related to the petroleum industry. Vet Hum Toxicol 1979;21:328-337. Edwards WC. Toxicology of oil field wastes. Hazards to livestock associated with the petroleum industry. Vet Clin North Am Food Anim Pract 1989;5:363-374. Edwards WC, Coppock RW, Zinn LL. Livestock poisoning from oil field wastes. Bovine Practitioner 1980:146-149. Edwards WC, Gregory DG. Livestock poisoning from oil field drilling fluids, muds and additives. Vet Hum Toxicol 1991;33:502-504. Edwards WC, Zinn LL. Diagnosis of petroleum hydrocarbon poisoning in cattle. Vet Med Small Anim Clin 1979;74:1516-1518. McConnell WC. Oil field problems confronting the veterinarian. Veterinary Medicine 1957;52:159-163. Environmental Protection Agency. Screening-level hazard characterization; crude oil category In: Agency USEP, ed: U.S. Environmental Protection Agency 2011. King G. Hydraulic fracturing 101: what every representative, environmentalist, regulator, reporter, investor, university researcher, neighbor and engineer should know about estimating frac risk and improving frac performance in unconventional gas and oil wells. SPE Hydraulic Fracturing Technology Conference. Woodlands, TX, 2012. Bunch AG, Perry CS, Abraham L, et al. Evaluation of impact of shale gas operations in the Barnett Shale region on volatile organic compounds in air and potential human health risks. Sci Total Environ 2014;468-469:832-842. Coppock RW, Christian RG. Petroleum In: Gupta RC, ed. Veterinary Toxicology Basic and Clinical Principles. Toronto: Elsevier, 2012. Colborn T, Kwiatkowski C, Schultz K, et al. Natural gas operations from a public health perspective. Hum Ecol Risk Assess 2011;17:1039-1056. Spellman F. Environmental Impacts of Hydraulic Fracturing. Boca Raton: CRC Press, 2013. Baynes RE, Riviere JE. Risk management of chemical contaminants in livestock In: Riviere JE, ed. Strategies for Reducing Drug and Chemical Residues in Food Animals: International Approaches to Residue Avoidance, Management and Testing. New York: Wiley, 2014;303-312. Bamberger M, Oswald RE. Unconventional oil and gas extraction and animal health. Environ Sci Process Impacts 2014;16:1860-1865. Bamberger M, Oswald RE. Impacts of gas drilling on human and animal health. New Solut 2012;22:51-77. Schilke J. Livestock fallin ill in fracking regions. Food & Environment Reporting Network, 2012. Adelson L, Sunshine I. Fatal poisoning due to a cationic detergent of the quaternary ammonium compound type. Am J Clin Pathol 1952;22:656-661. Coppock RW, Mostrom MS, Khan AA, et al. Toxicology of oil field pollutants in cattle: a review. Vet Hum Toxicol 1995;37:569576. Coppock RW, Mostrom MS, Stair EL, et al. Toxicopathology of oilfield poisoning in cattle: a review. Vet Hum Toxicol 1996;38:36-42. Coppock RW, Florence LZ, Miller CC. Study on the ethology of crude oil ingestion by cattle. Toxicologist 1992;12:336. Chalmers G. A literature review and discussion of the toxicological hazards of oilfield pollutants in cattle. ARCV97-R2 ed. Vegreville, Alberta: Alberta Research Council, 1997. Poppenga RH. Commercial and industrial chemical hazards for ruminants. Vet Clin North Am Food Anim Pract 2011;27:373-387, viii-ix. Koschier FJ. Toxicity of middle distillates from dermal exposure. Drug Chem Toxicol 1999;22:155-164. Riviere JE, Brooks JD, MonteiroRiviere NA, et al. Dermal absorption and distribution of topically dosed jet fuels Jet-A, JP8, and JP-8(100). Toxicol Appl Pharmacol 1999;160:60-75. Baynes RE, Brooks JD, Budsaba K, et al. Mixture effects of JP-8 additives on the dermal disposition of jet fuel components. Toxicol Appl Pharmacol 2001;175:269-281. Muhammad F, Brooks JD, Riviere JE. Comparative mixture effects of JP-8(100) additives on the dermal absorption and disposition of jet fuel hydrocarbons in different membrane model systems. Toxicol Lett 2004;150:351-365. Monteiro-Riviere NA, Bristol DG, Manning TO, et al. Interspecies and interregional analysis of the comparative histologic thickness and laser Doppler blood flow measurements at five cutaneous sites in nine species. J Invest Dermatol 1990;95:582-586. Baynes RE. In vitro dermal disposition of abamectin (avermectin B(1)) in livestock. Res Vet Sci 2004;76:235-242. 34. Freeman JJ, Federici TM, McKee RH. Evaluation of the contribution of chronic skin irritation and selected compositional parameters to the tumorigenicity of petroleum middle distillates in mouse skin. Toxicology 1993;81:103112. Freeman JJ, McKee RH, Phillips RD, et al. A 90-day toxicity study of the effects of petroleum middle distillates on the skin of C3H mice. Toxicol Ind Health 1990;6:475-491. Nessel CS. A comprehensive evaluation of the carcinogenic potential of middle distillate fuels. Drug Chem Toxicol 1999;22:165-180. McDougal J, Rogers J, Simman R. Understanding systemic and local toxicity of JP-8 after cutaneous exposures In: Witten M, Zieger E,Ritchie G, eds. Jet Fuel Toxicology. Boca Raton, FL: CRC Press, 2011;149-180. Eisele GR. Naphthalene distribution in tissues of laying pullets, swine, and dairy cattle. Bulletin of Environmental Contamination and Toxicology 1985;34:549-556. From tiny viruses and bacteria, unrecognized for millennia, to blue whales weighing 200 tons, and fungi that spread for hundreds of hectares underground, the diversity and extent of life on Earth is dazzling. In its life and reproduction, every organism is shaped by, and in turn shapes, its environment. It is this inter-action of a healthy Ecological Habitat, not human-species management of either, that will, indeed, save the Wild Horses and our overall environmental complex. We find that animals fill “niches” or a role within a habitat or ecosystem. This is how a diversity of members of species participate in the distribution of resources, that includes such features as time of day they are active, the plants they exploit, how they vie for competitors, et al. What is found most often, is these niches are filled with one species, a specialist, so to speak. A good example here would be if two species compete at the same time for the same fruit, one species has, most often, a slight advantage over the other – sometimes a bit earlier out of the nest in the morning or a bit quicker to detect danger. Eventually this advantage will result in the more competitive species displacing its rival completely. But adaptation takes place, most often, and the subordinate species develops behaviors to fill a different niche, or it may die. . . 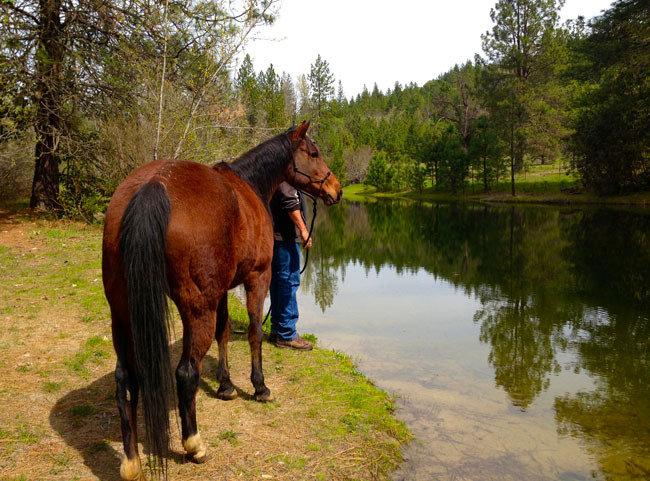 When we speak about Wild Horses, we find they fill specific “niches” within a diverse habitat, that when all is assumed, they also show us, among other species, credibility within an Ecosystem, or just how healthy the habitat has become, or not. Because the Wild Horse is a browser, an ecological diversity of wildlife, inclusive of predators, keeps them as well as other browsers on the move, as their survival instinct kicks into play. This is a brief summary, but what transpires remains a positive circumstance, as good science shows us overwhelmingly. A diversity within a healthy habitat – inclusive of marine, terrestrial, and wildlife, and many niches available with many of the wildlife filling those niches – competitive and non-competitive. niches are defined by the species that fill them. This means that their way of life, habits, and food preferences will not overlap, completely. And as science shows us, once again, by remaining in an ecological niche to which they are well adapted, species make room for one another. This is significant to remember, when someone speaks, opinion-only and no science to back it up, that predators control the ecology – this is an untruth – as diversity always needed for a healthy ecology. To fulfill a niche in nature is to develop a primary strategy for survival. Human’s are the only species that kills for sport, or whatever excuse they develop. When wildlife lives within a healthy process, or a natural system, or an Ecological Habitat, they adapt and make room for one another, such as pieces of a jig-saw puzzle fit together, all for survival . . .
We see examples of this situation throughout the United States (e.g. Otters and sea urchins, wolves, cougars, shark et al), but the more prominent example were the studies by Aldo Leopold, and removal of the wolf. Eventually, lesson learned, Leopold understood wiping out the wolves to be a “negative” extreme, as the niche they filled left vacant, and browsers took over the parklands, and the ecosystem decimated, barren landscape developed, wildlife starved, trees and shrubs destroyed, and both marine and all other terrestrial lands destroyed. Yellowstone Park is a good example, as well, and until the wolves re-established, Yellowstone almost destroyed in total. Ecological release of a species shifts an ecosystem to a new equilibrium, essentially radically transforms it. Often it is a short-term event, such as over-hunting by human-species and improper wildlife management (such as the broken wildlife management systems of today in the United States), or establishing a single-species priority of cattle, a non-indigenous species, and forcing a natural habitat, or ecological system to adjust to the species – backed by no affirmative science, destruction follows. Competition is required in nature, which establishes healthy ecology — when removed, we have what is termed Ecological Displacement, which can lead to “Extinction” – and debatable whether positive or negative, it can also lead to behavioral and even evolutionary adaptations’. We find “symbiosis” the central definable circumstance of this interaction and species contribution within ecosystems. Interesting that in Greek symbiosis means “living together”, and essentially a close and consistent interaction between two species, whereas, both obtain benefit. The symbiotic reaction of Wild Horse Bands, for example, “commensalism”, where a small horse band shares their grazing-ground with birds. The bands, the horse hooves, stir up insects within the grasses, which the birds at times will circle, or dive, or sit upon the horses’ back waiting, then dive down and snap-up the insects. Of course, attracting some of the birds who may carry seeds very beneficial to the habitat overall, the grasslands remain healthy, and the re-seeding establishes growth . . .
We can now start to see how the government agencies, the Bureau of Land Management, the USDA Wildlife Services, and the USDA Forestry, are site specific and their approach toward our living Ecological Systems are simply destructive in total; nor, backed by any research or data gathering. Their perspective remains bias, bigoted, and even ignorant, within the aspect of a Single-Species priority of cattle, where no natural reaction can occur for the betterment of nature, as they insist upon wiping-out, or sacrificing, all other wildlife, for cattle-only — which in turn destroys the overall Environmental complex. These government agencies then act as though their styled-ignorance remains superior, but in reality, is of no science, and something not acceptable –never has been and never will be within nature. Five species of insectivorous wood warblers — Cape May, Yellow-rumped, Black-throated Green, Blackburnian, and Bay-breasted — were the subject of a classic study of community ecology (the science of interpreting species interactions). These species often share the same breeding grounds in mature coniferous forests. They had been thought by some ornithologists to occupy the same niche — in other words, they appeared to assume identical roles in the same bird community. These five warblers would thus be an exception to the ecological rule of competitive exclusion. The rule states that two species with essentially the same niche cannot coexist because one will always out-compete and displace the other. For his doctoral dissertation, the late Robert MacArthur, who became one of the nation’s leading ecologists, set out to determine whether the five species of warblers actually did occupy the same niche. By measuring distances down from the top and outward from the trunk of individual spruce, fir, and pine trees, MacArthur divided the trees into zones and recorded feeding positions of the different warblers within each. “MacArthur found that each warbler species divided its time differently among various parts of the tree. The Cape May, for instance, stayed mostly toward the outside on the top, the Bay-breasted fed mostly around the middle interior, while the Yellow-rumped moved from part to part more than either of the other two. This is shown in the accompanying diagrams, in which the zones that contained 50 percent of the birds’ feeding activity are blackened.MacArthur also recorded details of the warblers’ foraging habits and discovered that they differed too. For example, the Cape May warbler hawks flying insects much more often than does the Blackburnian and tends to move vertically rather than horizontally (matching its tendency to remain on the outside of the tree). The Black-throated Green hovers much more than the Bay-breasted, and the more variable Yellow-rumped has the most varied feeding habits. In addition, MacArthur found evidence that food shortage limited the size of the warbler populations. Beerling, D. The Emerald Planet: How Plants Changed Earth’s History. Oxford, UK: Oxford University Press, 2007. Biro, P. A., Beckmann, C. et al. Small within-day increases in temperature affects boldness and alters personality in coral reef fish. Proceedings of the Royal Society B: Biological Sciences 277, 71-77 (2010). Burger, W. C. Flowers: How They Changed the World. Amherst, NY: Prometheus Books, 2006. Chapin, F. S., Matson, P. A. et al. Principles of Terrestrial Ecosystem Ecology. New York, NY: Springer Science+Business Media Inc., 2002. Chapin, F. S., Vitousek, P. M. et al. The nature of nutrient limitation in plant communities. The American Naturalist 127, 48 (1986). Cowen, R. History of Life. Boston, MA: Blackwell Scientific Publications, 1990. Dethlefsen, L., Huse, S. et al. The pervasive effects of an antibiotic on the human gut microbiota, as revealed by deep 16S rRNA sequencing. PLoS Biology 6, e280 (2008). Gaston, K. J. Global patterns in biodiversity. Nature 405, 220-227 (2000). Hata, H., Watanabe, K. et al. Geographic variation in the damselfish-red alga cultivation mutualism in the Indo-West Pacific. BMC Evolutionary Biology 10, 185 (2010). Kleidon, A., Fraedrich, K. et al. A green planet versus a desert world: estimating the maximum effect of vegetation on the land surface climage. Climatic Change 44, 471-493 (2000). Marquez, L. M., Redman, R. S. et al. A virus in a fungus in a plant: three-way symbiosis required for thermal tolerance. Science 315, 513-515 (2007). May, R. M. How many species are there on Earth? Science 241, 1441-1449 (1988). MacArthur, RH. 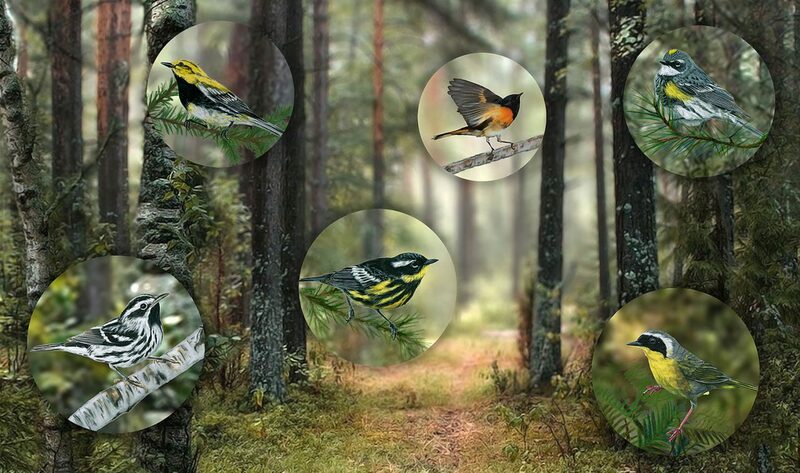 (October 1958) Population Ecology of Some Warblers of Northeastern Coniferous Forests. Ecology, 39(4), 599-619. Morton, O. Eating the Sun: How Plants Power the Planet. New York, NY: HarperCollins, 2008. Parker, A. R. & Lawrence, C. R. Water capture by a desert beetle. Nature 414, 33-34 (2001). Pringle, R. M., Doak, D. F. et al. Spatial pattern enhances ecosystem functioning in an African savanna. PLoS Biol 8, e1000377 (2010). Riedman, M. Sea Otters. Monterey, CA: Monterey Bay Aquarium Press, 1990. Riedman, M. The Pinnipeds: Seals, Sea Lions, and Walruses. Berkeley, CA: University of California Press, 1991. Schlesinger, W. H. An analysis of global change. In Biogeochemistry. 2nd ed. (New York: Academic Press, 1997). World Health Organization. Millennium Ecosystem Assessment: Ecosystems and Human Well-being: General Synthesis. Washington, DC: Island Press, 2005. Let’s discuss more about the science and intricacy, of placing wild horses back onto our Public and Federal Lands – and at the same time increase our wildlife habitats, increase the quality of ecological habitats and Ecology Islands, increase the quality of Our Nation’s water supply, increase Our Nations grasslands (only a mere 18% left of the very basic Grains and other vegetation that was the foundation of America’s food-chain for two-Plus-Centuries), rid Our public and federal lands of pollutants, radioactivity in the soil and beef/sheep meat supply, as well as other dangerous chemicals from the current industrial boom now ongoing on Our lands, and all around increase Our Nations Environmental Complex. . . for the better. Science begins with very basic principles, and in this case Population Density is nothing more than a Space-Available context and to obtain good results, or improvements to our Public and Federal Lands. Quite frankly, none of the important situations within the context of placing wild horses back onto Our Public and Federal Lands (and leave the wild horses’ already there, on the range) does not include any drama what so ever. . .
Often drama is imposed by those who are supportive of such situations as BLM lies and misinformation (for example, we see advocates sharing office space with BLM, their mission too merely start problems within advocacy, if allowed), or monetary situations, and support BLM / Forestry, pesticides and other birth control situations, and experiments upon our wild horses – money involved in all of the drama opposing the placement of wild horses back onto Our Nation’s Lands – FACT and insurmountable evidence to show this in total, as a specific truth. There exists more than enough room, upon the Multi-Purpose Lands we, as taxpayer’s own, ultimately. We can essentially move on to environmental conditions. Density Factors, independent from normal environmental factors, yet directly affect population density, which are situational, floods, droughts, volcanic habitats, and any other cataphoric-situation that has the potential of short-term or long-term effects upon populations such as wild horses, the wolves, cougars, or mid-range wildlife as well . . . Within any Ecological Habitat, it is the environmental factor that constrain the population, in combination with the density-independent factor; which, interesting enough, sets an upper limit on population size. These components also all inclusive of why so many advocates are against the wreckless Human-Infringement and the use of breed controls upon wildlife, as nature takes care of the situation quite well enough, and infringement, truthfully, unneeded – i.e. birth controls and roundups. The human-problem is simply of erroneous perception of nature, if admitted or not, as well as bias, ignorance, and an odd realm of bigotry, and of nothing more than, they are right and everyone else wrong. No one ever admits they are a bigot; and thereby, the human problem increases exponentially over time . . . We endeavor to neutralize this type of human-problem, through quality management, and decision-making mandatory upon science, good data, and rendering of quality hypothesis. Keep in mind, as science shows us consistently, it is the population-size that also effects the rate of growth of the population, and by the addition or removal of density-dependent factors. We can use science here, and deduct a sincere and reasonable abstract of knowledge; whereas, one species can be defined within several segments of population density, and within area proximity. 2. Refrain from the twisted and disenfranchised term of Humane and the use of breed controls, roundups, or slaughter mind-sets, that are nothing more than ignorance and simply do not work at all, within any “Humane” perspective. A wild horse band, for example, can survive quite well in the eastern areas of Washington State, or in Central or Eastern Oregon as well, and the population, as long as it is left alone separated from human-problems and egos, and as long as diversity of wildlife combined with a terrestrial diversity of shrubs, grasses, et al., and within a healthy Ecology, then moderation of population takes place within a natural occurrence – Population Density situations take hold as well. Cross-species factors are involved also. This is where the addition of removal or addition of population-density factors can transform an ecological system that can, and as science shows us quite well, does in many ecology islands, and establishes a new equilibrium factor. Now, with this said, and clear in our minds, we then take this a step further. 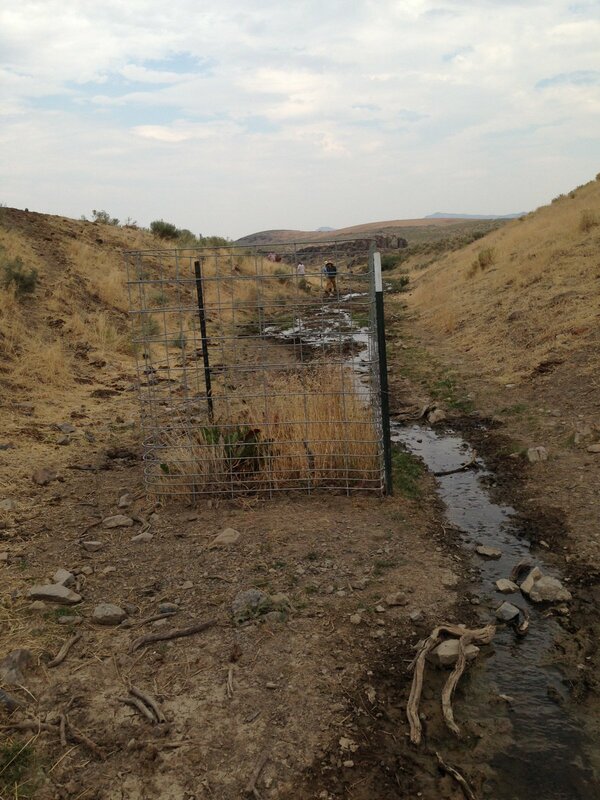 Every species has critical density-dependent factors, wild horses are not exempt. Again, as science shows us, if one of these factors removed – through environmental change, for example, or even experimental manipulations, or breed controls, etc., the population begins to grow until a new density-dependent factor kicks-in. And yes, due to the reality of scientific research, we find that the BLM / Forestry interference with the wild horses (coyotes experience this same shift in population densities, when interruption exist in populations, the populations simply increase, naturally) seem to be more of a manipulation, or an ignorantly based situation for promotion of problems that simply do not exist, or job security for a large government agency, to keep doing things that prohibit “Moderation” of wild horse populations, and increase population. We can truthfully state, scientifically and beyond all doubt, the things that the Bureau of Land Management does do, within their wild horse management paradigms, as well as the USDA Forestry, and due to their lack of knowledgeable science as well as lack of biological knowledge, moderation of the wild horses on Our Federal Lands simply “cannot exist” – then add the breed control paradigms, and it increases, again, exponentially – the wild horses simply have no chance, and extinction eminent. The re-establishment of wild horses, as well as other wildlife, within Washington, Oregon, Idaho, California and other Western 11 States, becomes a point of wildlife and terrestrial Diversity. Within this diversity we can use the data and survivorship curves, in research, to track trends and to understand the dynamics of a given population. This is far superior to what we have now, the Single-Species Paradigm = Cattle, which is merely guess-work, and a proven very arrogant/ignorant methodology of Public and Federal Lands management – as we see in several very destructive situations now existing on Our Lands in America. We also see a time when the Beef and Sheep meat products will be too polluted for Public Consumption, and it is not that far off. Once again, it is science that shows us this quite clearly now. The industrialized Multi-Purpose Lands Management theories, unproven by quality-science as well, simply is not working, and is very destructive to our lands. Once again, we also get into the Strategic elements of re-establishing species upon Our Lands, in America, within a positive framework, and observation playing a major roll in data gathering and regulatory compliance – compared to the willy-nilly situation of No-Compliance on our lands in America, currently. Big problem, as pointed out above . . . Corruption, irresponsible conduct by government employees, as well as bad nonscientific management paradigms, based on special interests only, and America, we have a problem – But yes America, we have an answer to the problems up and coming, make no doubt. Paul Rodgers, United States Constitutional Law: An Introduction (2011), p. 100-101. Gibson v. Chouteau, 80 U.S. 92, 99 (1872), U.S. v. Grimaud, 220 U.S. 506 (1911), Light v. U.S. 220 U.S. 523 (1911), Utah Power & Light Co. v. U.S., 243 U.S. 389, 405 (1917), Ashwander v. Tennessee Valley Authority, 297 U.S. 288, 336 (1936). Lipton, Eric, and Clifford Krauss, Giving Reins to the States Over Drilling, New York Times, August 24, 2012. 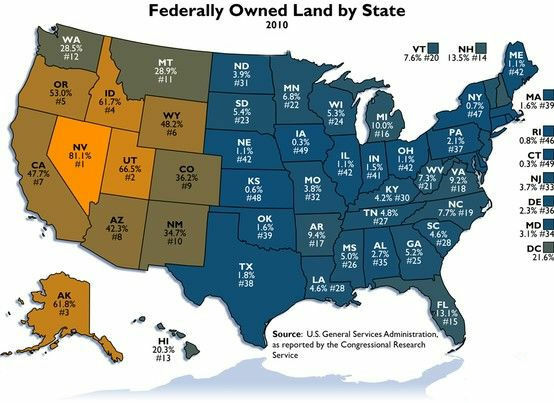 Carol Hardy Vincent, Carla N. Argueta, & Laura A. Hanson, Federal Land Ownership: Overview and Data, Congress Research Service (March 3, 2017). Kleppe v. New Mexico, 426 U.S. 529 (1976). 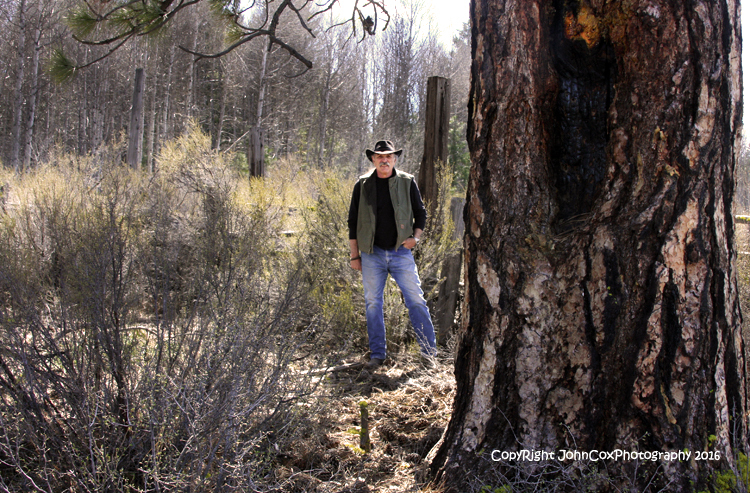 Tom Fredericks & Andrea Aseff, When Did Congress Deem Indian Lands Public Lands? : The Problem of BLM Exercising Oil and Gas Regulatory Jurisdiction, 33 Energy Law Journal 119 (2012). “Trust Land” in Treaties with American Indians: An Encyclopedia of Rights, Conflicts, and Sovereignty (ed. Donald L. Fixico: ABC-CLIO, 2008), p. 956. Allen, L. , Engeman, R. , and Krupa, H. (1996). Evaluation of three relative abundance indices for assessing dingo populations. Wildlife Research 23, 197–206. Bayne, P. , Harden, B. , Pines, K. , and Taylor, U. (2000). Controlling feral goats by shooting from a helicopter with and without the assistance of ground-based spotters. Wildlife Research 27, 517–523. Boonstra, R. , Krebs, C. J. , Boutin, S. , and Eade, J. M. (1994). Finding mammals using far-infrared thermal imaging. Journal of Mammalogy 75, 1063–1068. Bull, E. L. , Holthausen, R. S. , and Bright, L. R. (1992). Comparison of 3 techniques to monitor marten. Wildlife Society Bulletin 20, 406–410. Caley, P. A. , and Morley, C. G. (2002). Assessing growth rates of European rabbit populations using spotlight transect counts. Journal of Wildlife Management 66, 131–137. Dodd, M. G. , and Murphy, T. M. (1995). Accuracy and precision of techniques for counting great blue heron nests. Journal of Wildlife Management 59, 667–673. Edwards, G. P. , dePreu, N. D. , Shakeshaft, B. J. , and Crealy, I. V. (2000). An evaluation of two methods of assessing feral cat and dingo abundance in central Australia. Wildlife Research 27, 143–149. Elbert, J. E. , Kost, C. D. , Rasmussen, R. L. , Johnson, D. L. , and Jenks, J. A. (1999). Lipophilic MRI contrast agents as potential markers for carnivore population studies. Proceedings of the South Dakota Academy of Sciences 78, 109–114. Engeman, R. M. , and Allen, L. (2000). Overview of a passive tracking index for monitoring wild canids and associated species. Integrated Pest Management Reviews 5, 197–203. Foran, D. R. , Minta, S. C. , and Heinemeyer, K. S. (1997). DNA-based analysis of hair to identify species and individuals for population research and monitoring. Wildlife Society Bulletin 25, 84–0847. Glen, A. S. , and Dickman, C. R. (2003). Monitoring bait removal in vertebrate pest control: a comparison using track identification and remote photography. Wildlife Research 30, 29–33. Poole, D. W. , Cowan, D. P. , and Smith, G. C. (2003). Developing a census method based on sight counts to estimate rabbit numbers. Wildlife Research 30, 487–493. Quy, R. J. , Cowan, D. P. , and Swinney, T. (1993). Tracking as an activity index to measure gross changes in Norway rat populations. Wildlife Society Bulletin 21, 122–127. Schwartz, C. J. , and Seber, G. A. F. (1999). Estimating animal abundance: review III. Statistical Science 14, 427–456. Seber, G. A. F. (1986). A review of estimating animal abundance. Biometrics 42, 267–292. Seber, G. A. F. (1992). A review of estimating animal abundance. II. International Statistical Review – Revue Internationale de Statistique 60, 129–166. Thompson, J. A. , and Fleming, P. J. (1994). Evaluation of the efficacy of 1080 poisoning of red foxes using visitation to non-toxic baits as an index of fox abundance. Wildlife Research 21, 27–39. Tracey, J. P. , Fleming, P. J. , and Melville, G. J. (2005). Does variable probability of detection compromise the use of indices in aerial surveys of medium-sized mammals? Wildlife Research 32, 245–252. The Bureau of Land Management employees tell us, Taxpayer’s et al., about their Wild Horse Herd Counts, and they state an over-population of Wild Horses’ out there, rampaging over Our Public and Federal Lands, and just destroying everything in sight. They also state they are starving, or worse, and they eat the range out of everything available, and directly compete with the food sources on the range, with cattle and sheep and many other wildlife. Let’s take a look at this already proven lie, on many different levels, of wild horse over-population. First we look at those who agree with the BLM, and understand a $-profit-base is at hand, and they are formidable liars as well, or just go along with what the BLM states as a Socioeconomic (Federal Court will neither accept as evidence nor fact. . . Reno, NV Cirsuit ) truism, rather than any factual truth, and never backed by any data, science, statistics’, nor data gathered, perused and summarized; thereby, No Evidence = No Facts. Accord. BLM Stats 30 : 1 Ratio 3,900 lbs. 25 lbs. (Notes) the horses are being blamed for the damage that is done by private cattle herds. 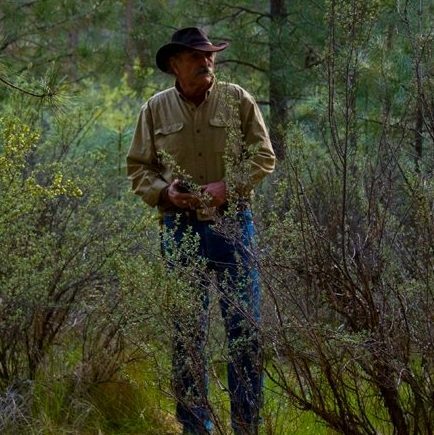 These private cattle ranchers are knowingly overgrazing their herds on federal lands. The BLM is allowing the cattle to overgraze and continue to allow the increase of the number of cattle while, at the same time, continue to lowering grazing fees. What we find is the BLM very inaccurate in the matter of their Wild Horse Herds/Bands, and an extreme variance within their counts and reality or the actual population, that truly exits. Apparently, they have been allowed over the years, to get away with averages that simply deify any type of Biological reasoning what so ever. Yes, their numbers most often make “NO” Biological sense what so ever, and even comical at times, and obvious they simply do not know what it is they do not know – and this situation alone is very troubling, as they are paid administrative and manger wages, but simply decisions nothing more than what a moron who is paid minimum wage, would make, in the matters of proper wildlife and lands management. We also find their statistics are not backed by anything. Their redundant reference to a study, to promote or referenced within their counts as under-counted, done in the 1993’s, merely an abstract of averages as well, and states within the study the researcher’s never concluded, accurately, what the wild Horse population was at that time, but merely another surmised-average based upon BLM numbers (estimates, as no one really counted much of anything even then, accurately) that BLM employees lie about today – or they may simply take the word of someone else, and not read the study that others referenced. BLM employees will state this same White paper, stating statistics clear that they are undercounting the Wild Horse Over-population, is simply a travesty, and really not a referenced matter at all. The rate of growth of populations, can vary enormously across species, and Wild Horses no different. E coli, for example if left unchecked, would double in population every 20 minutes. Apparently, this filled many BLM offices, and left unchecked 😊 . . . In the real world, this type of exponential growth only occurs at a short time period. The E. coli example, at the rate mentioned above, after 36 hours the descendants of a single bacterium would cover the surface of the Earth one-foot deep, and within the next hour would be over all of our heads. In the matters of Wild Horses, as well as other wildlife, we can get into a natural “moderation of population” – but only if allowed to do so, with little to no human intervention. What is referred to here is nothing more than “carrying capacity” and the equilibrium of how a population size remains in balance, and within a habitat that can support them. Our Public and Federal Lands can support an entire population of Wild Horses, as good science shows us, and a lot of research that states the same. 1. The only irrational situation we run across, currently, is the fact we cannot depend on the non-credible numbers i.e. wild horse counts – statistics that the BLM offers as truth, in the matters of placing (or leaving them alone) Our Nation’s Wild Horse’s on Public and Federal Lands. 3. In direct opposition, we have a lot of science, a lot of research, and simply a lot of knowledge to back-up, within data, strategy, as well as sound statistical data and research narrative, that point directly to Re-Releasing the wild Horses’ back onto Public and Federal Lands, and simply leave them alone . . .
We have two reproductive strategies, biologically supported and well researched, that directly contradict the single-species priority (or BLM/Forestry non-scientific paradigm) of cattle and sheep only, on our Public and Federal Lands; or, as we refer to them as non-biological paradigms that simply destroy wildlife as well as our entire environment on our nations’ landscape. 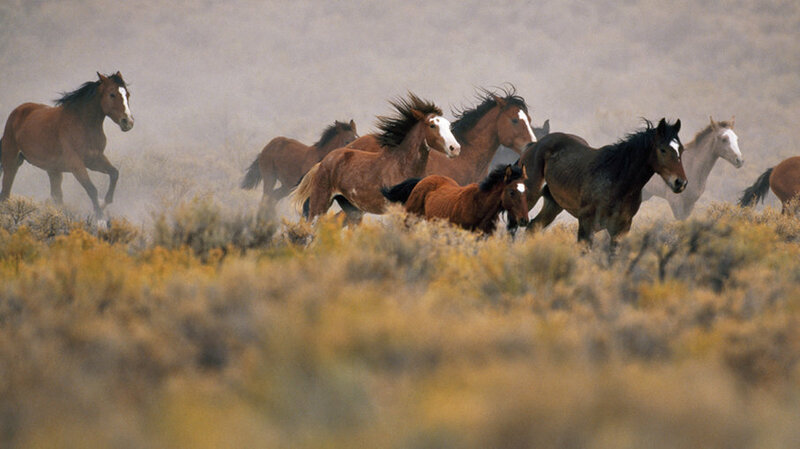 And that is the danger, to not only the Wild Horses, but to our over-all environment, and human’s alike. and the reckless use of chemicals, radioactivity from mining and fracking, and other dangerous pesticides used more and more on Our lands. We have the r-strategy and the K-strategy. The r-strategy refers to the intrinsic rate of population increase. The K-strategy refers to the Karrying Kapacity, a variant of the term carrying capacity. Not all animals fall into these groups I mention, exclusively, but the labels useful for identification or categorizing the overall picture of population change. Animals that live in a dangerous or unstable environment tend to be r-strategists’. 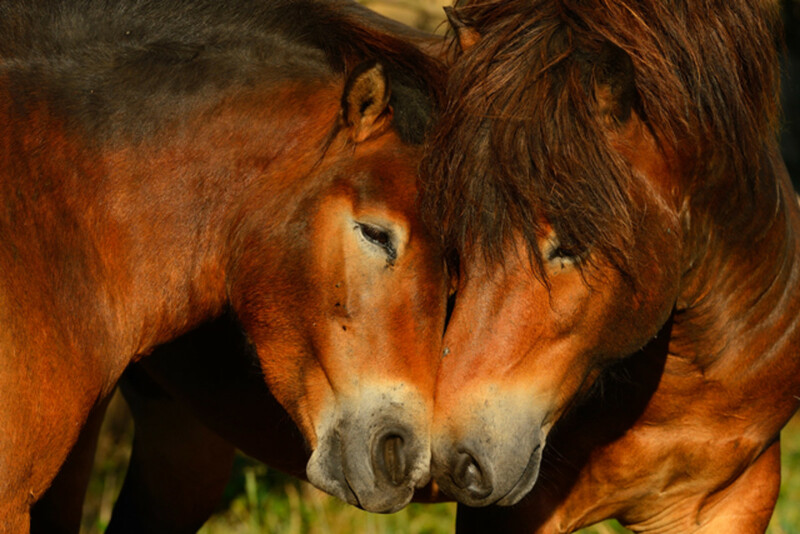 Wild horses are more prone to live within a K-strategists’ environment. This is one of a few excellent reasons many of us are, and remain, anti-pesticide pzp, as we favor the natural circumstance of a healthy environment, and healthy Ecological Habitats, over the no-strategy what so ever of the single-species-glut of cows on our Public and Federal Lands. But this is a knowledgeable and a more academic realm in favoring nature over and above the human-problems of perception; as well, over the ignorance portrayed up to this point on the use of pesticide pzp, and arguing over sales brochure information rather than outright-science. Breed controls are simply a human-perception, part of the human-problem, that have no place within a healthy Ecological Process and Habitat, what so ever. 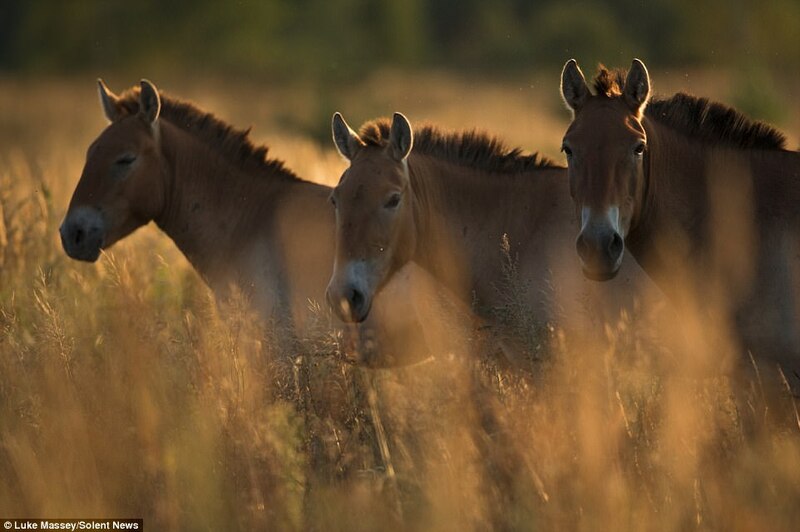 . .
K-strategists, wild horses in this example, reproduce later in life, or around, safely, 5 to 6 years of age. 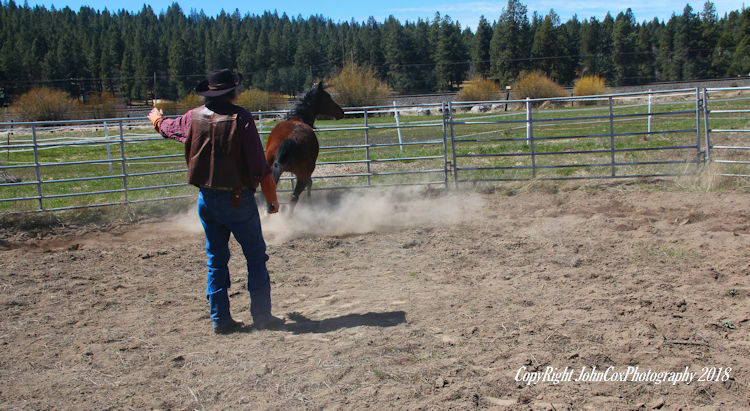 More time is invested in their off-spring, and why we do not like to see the breed-control’s imposed upon Wild Horses, and generating Band disruption within many of the Wild Horse Bands on Public Lands – this is disruptive to the K-strategy – in reality, an unworkable situation – something BLM the Forestry and HSUS does not seem to understand, and they are totally out of their realm in pushing pesticide pzp on the Wild Horses at all. We have within this paradigm, a succession of interaction, diversity, as well as creating or sustaining a healthy Ecological Habitat – we also find those who do not understand why we want to re-establish the Wild Horses on Public Lands, and left alone, as this paradigm is simply too difficult for them to understand how it all works. We refer to this mind-set as shallow, not responsive to nature, and what it can provide for wildlife and human’s alike. Populations in these circumstances, both strategies, grow quickly, but their growth levels off. The strategies involved, we find in good science and well collected data and research, and closure of the hypothesis, in regard to interpreting the data and research collected. We find an equilibrium at their carrying capacity, or what is referred to as the number of individuals the habitat can support. Up and coming within the next article will be the strategy, the overall outlook of Population-Density, where environmental restraints grow in significance as population density increases. For example, territory, ecological islands, growth of habitat, diversity in wildlife and terrestrial landscape, disease, predation, are all population density factors. . . as well as emigration and immigration; such as, emigration caused by inadequate food supply within a territory, and particular species simply move on to a healthier habitat to support themselves . . .
Margulis, L. Symbiosis in Cell Evolution: Life and Its Environment on the Early Earth (W. H. Freeman, 1981). Ochman, H. & Moran, N. A. Genes lost and genes found: evolution of bacterial pathogenesis and symbiosis. Science 292, 1096–1099 (2001). Mora, C., Tittensor, D. P., Adl, S., Simpson, A. G. B. & Worm, B. How many species are there on earth and in the ocean? PLOS Biol. 9, e1001127 (2011). Eme, L., Spang, A., Lombard, J., Stairs, C. W. & Ettema, T. J. G. Archaea and the origin of eukaryotes. Nat. Rev. Microbiol. 15, 711 (2017). Boucher, D. H., James, S. & Keeler, K. H. The ecology of mutualism. Annu. Rev. Ecol. Syst. 13, 315–347 (1982). Bright, M. & Bulgheresi, S. A complex journey: transmission of microbial symbionts. Nat. Rev. Microbiol. 8, 218 (2010). This is an important description of the journey undertaken by horizontally and vertically transmitted symbionts, from their initial contact with their host to their final residence. Bennett, G. M. & Moran, N. A. Heritable symbiosis: the advantages and perils of an evolutionary rabbit hole. Proc. Natl Acad. Sci. USA 112, 10169–10176 (2015). Bull, J. J., Molineux, I. J. & Rice, W. R. Selection of benevolence in a host-parasite system. Evolution 45, 875–882 (1991). Doebeli, M. & Knowlton, N. The evolution of interspecific mutualisms. Proc. Natl Acad. Sci. USA USA 95, 8676–8680 (1998). Douglas, A. E. Host benefit and the evolution of specialization in symbiosis. Heredity 81, 599 (1998). Ewald, P. W. Transmission modes and evolution of the parasitism-mutualism continuum. Ann. NY Acad. Sci. 503, 295–306 (1987). Hartmann, A. C., Baird, A. H., Knowlton, N. & Huang, D. The paradox of environmental symbiont acquisition in obligate mutualisms. Curr. Biol. 27, 3711–3716 (2017). Herre, E. A., Knowlton, N., Mueller, U. G. & Rehner, S. A. The evolution of mutualisms: exploring the paths between conflict and cooperation. Trends Ecol. Evol. 14, 49–53 (1999). Wilkinson, D. M. & Sherratt, T. N. Horizontally acquired mutualisms, an unsolved problem in ecology? Oikos 92, 377–384 (2001). Knowlton, N. & Rohwer, F. Multispecies microbial mutualisms on coral reefs: the host as a habitat. Am. Nat. 162, S51–S62 (2003). Nussbaumer, A. D., Fisher, C. R. & Bright, M. Horizontal endosymbiont transmission in hydrothermal vent tubeworms. Nature 441, 345 (2006). Nyholm, S. V. & McFall-Ngai, M. The winnowing: establishing the squid–vibrio symbiosis. Nat. Rev. Microbiol. 2, 632 (2004). This is a classic overview of the establishment of the squid– Vibrio spp. symbiosis. Fontanez, K. M. & Cavanaugh, C. M. Evidence for horizontal transmission from multilocus phylogeny of deep-sea mussel (Mytilidae) symbionts. Environ. Microbiol. 16, 3608–3621 (2014). Today, right now and have-been for quite some time now, we are selling out our American Icons, the Wild Horses. Mere lies and outright misinformation lead this storm of selling one of Our prized Icons Out, the Wild Horses, by nothing more than bigots, the blatantly ignorant, and bias people that really do not know any different! We see them sacrificed for Welfare Ranching, which, as science shows very well, is non-sustainable management paradigms, not supported by science at all, and prevalent today, by BLM-Forestry and directly related to Cattle Ranching on America’s Public and Federal Lands. The problem is unacceptable, and American’s, once the truth be known, and acknowledged, the Wild Horses being sold-out by BLM, Welfare Ranchers, and corporations, for their own religious — or personal benefit, within a corrupt context, and obvious to many. This exemplifies where America is going today, and unacceptable to the majority – that is and as I stated, when the truth be known . . .
As you will notice within the Constitution of the United States, industry and corporations are not mentioned as having “Rights”; although, when Congress passed legislation creating a corporation to have the “Rights” of a normal human and American, they neglected to understand that the “Rights” given as a corporation to be an individual in America, cannot and “should not” seize all “Rights” from all other Individuals’ in America. This is preposterous to assume, in total. To undermine this ideological base of Our Constitution, whereas, the common American is “Not Represented”, in this case within the administration and framework of the operational aspects of the Bureau of Land Management (i.e. BLM), we then have a big problem with the ongoing and corrupt maneuvers’ of business-conflicts, that is, contrary to Our Constitution. Obviously, and from the comment below, we need to be far more careful on who it is we elect into office to Represent Our views and demands on how Our Federal and Public Lands managed. Does the Constitution mean anything? Keep in mind this situation is not just a Constitutional situation, that within all confines, should be debated within the Supreme Court dockets, but the Bill of Rights, intended for All American’s, seized and corrupted by policies and inadequate laws, that simply do not fulfil the landscape of neither the “Bill of Rights” nor Our “Constitution”, within the aforementioned government agency. Did our current representatives actually Represent the People of the United States in these issues? Certainly not, and time for either them to do so, or be replaced by those who will represent Our Constitution and Bill of Rights. In reality, the Welfare Rancher contingent attempted to “change” the Constitution, for their benefit, not our as taxpayers – as superior evidence and facts show us quite well. Benefits to Local Area Ranchers/politicians/oil industry accumulative, pay-offs and continuing profit = $12.4 billion dollars and rising. “This is significant,” Mr. Sebastian, Research CPA, states, “. . . as this becomes, and has been, a slice of our public debt, unfortunately hidden from the public at large. Taxpayers should know where their money is going, it should not be hidden. Right now, it is hidden in the BLM and under the “false” guise of Socioeconomics’ (which, when explained – similar to wild horse herd counts, absurd in total — is only bizarre, with no factual economics provable by budgets’, nor profits provable at all = lies – i.e. see Federal Court documents – Reno, NV Circuit – February/March hearings versus BLM), with no credibility or attempt to show the tax paying public the real figures and costs of the roundups. 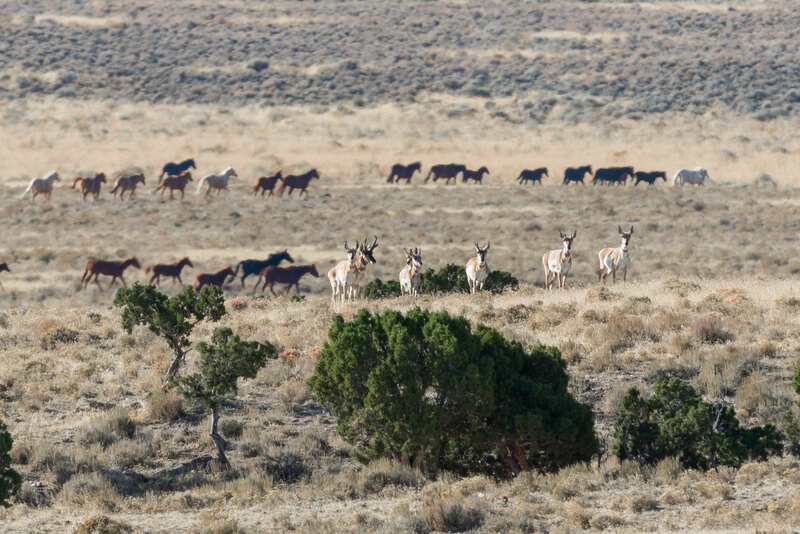 This compared to simply leaving the Wild Herds alone, at an approximate cost-field-management amount of perhaps $52,000 to $75,000 per year if that, for grassland management, wild horse management, and cattle grazing management.” (i.e. Grassland Management Principles) et al. This “Kill” percentage is extremely high for roundups in general, near the value of anywhere from 12% to 24% based upon Reality-Averages — and left under a covered-up shroud of questionable conduct, with no excuse from the Private Contractor or BLM Supervisory staff, other than a “Go to Hell” attitude when questioned about the over-kill rates, and yet paid as if rounded up and delivered commodities, to Procurement for payment. January 10, 2011 — Sun J Livestock received $1,221,767.90 for about two weeks, if that, of roundup; etc. . . . I think you get the picture here, and keep in mind between the dates of September 13, 2010, and January 12, 2012 there were 24 Roundups and similar payments made to this Private Contractor in Nevada. 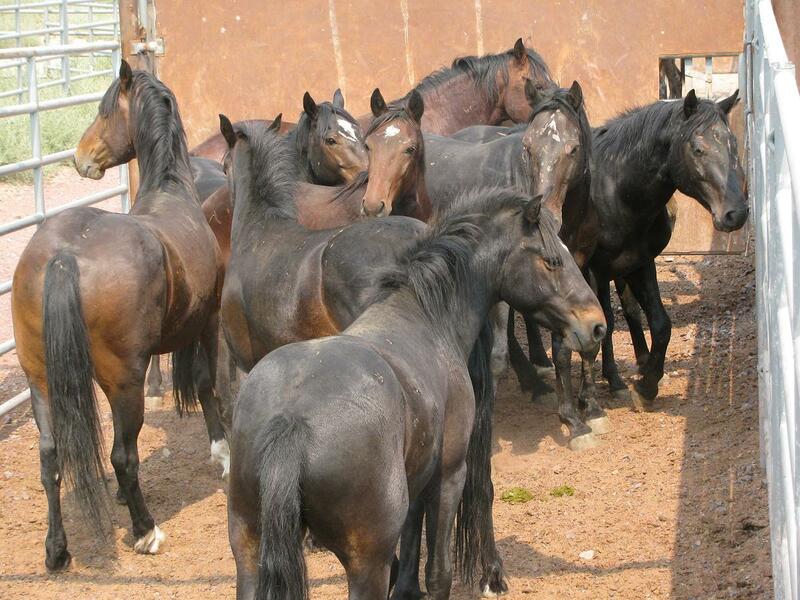 NOW, think about the roundups that have taken place, monthly, from 2012 to 2019 – and we see an industry that has developed on nothing more than fake/false wild horse herd counts (All Felonies under — US Code, Title 18 – Crimes and Criminal Procedure, Part I – CRIMES (§§ 1 – 2725), Chapter 47 – FRAUD AND FALSE STATEMENTS (§§ 1001 – 1040), as well as significant over-population of cattle, very destructive and costly to taxpayers as well, on our Public and Federal Lands – in violation of many laws too numerous to list here. . .
All of this is built upon nothing more than myth, by the the cattle industry, that is “presumptuously under this myth” that Welfare Ranching is “needed” (lies – misinformation) on our Public and Federal Lands – We look at Domestic Sales Receipts, as further factual evidence, of a mere less than 1% of beef sales (beef from Welfare Rancher’s holding Federal Grazing Permits), and at a 34% overall (i.e. commercial and Federal Grazing Permit beef combined) of Beef commodities’ expire and thrown out within the market place. . . We see no need for this extravagance to the taxpayer $-billions of dollars extended to support Welfare Ranching at all, when, in reality, nothing received for the taxpayer, nor from the Welfare Ranching on Our Lands — nor the need for significant destruction of our Wild Horses in America, as well as our environmental concerns (ignored most often) – all built on nothing more than a tremendous, dubious myth, as well as an insurmountable mountain of lies . . . Science is left out on all BLM and Forestry decision making, when Welfare Ranching or Wild Horses concerned, as Evidence and facts show us, as well, quite clearly, indeed. Also, keep in mind, in 2019, these numbers have accelerated, and contractors committing fraud prevalent, and very provable as fact, but neglected by authorities’ as well as those who represent Our behalf, under the Constitution of the United Sates and Bill of Rights . . . and certainly, at the expense of taxpayers, contrived wild horse herd counts (biologically unprovable in total, as evidence shows as well), which still remain unprovable just from Biological Facts alone, remain their reasoning to commit Fraud toward all taxpayer’s. There exists no-excuse, by government agencies, to allow this to continue – what so ever! This is America, we stop corruption in its tracks — this quality still exists, and obviously ignored right now, but we expect change soon. We have a tendency, as humans, to accept “categorical-terms” as reality. Often, we find this merely a perceptive-reality based on myth, and nothing more than a commercialized occurrence of supposed necessity. When we use the “categorical-terms” of “Livestock” or “Pests”, through perception, we deduct passively the situation of slaughter, in particular of cattle, sheep, pigs, and yes, even horses. Congress even debated the subjects of “Livestock” and “Pest” as a Rule of Order, in this case for Wild Horses and Horses in general, for the commercial and monetary reasoning to reap all the money possible from Our Horses, as well as to establish “breed Controls” and to experiment on Horses. Yes, the Human Problem that no one will admit they have, just as Bigots will not admit their problem of Bigotry and Bias, and how it becomes despicable when $-profits can be made. To establish them as “pests” so experimentation and breed-controls could be used upon them. Indeed, the stigma attached to these terms, since the term “pest” carries its own commercialized categorical use, or “Excuse” to commit Non-Humane acts upon Horses, we find people taking advantage of these circumstances. . .
For example, Darting them with a Pesticide PZP, and it being “okay” to do so merely due to terminology (e.g. the terms pet versus livestock – or service-animal versus pest), and in some cases, people invoke the term “Humane Reasoning” or passively use (propaganda of rhetoric) a “Humane Management” paradigm into this “categorical-perception” only; which, accomplishes nothing more than to Zero-Out Birth Rates of Wild Horses (i.e. species extinction eminent). Due to these terms being in place, legally, we then see the reality, the commercially manipulated markets of meat product, in this case Horse Meat; thereby, the Less availability of Wild Horses, for example, increases the price per pound for “Slaughter Bound Horses” . . . The thought, or perception is, they are merely Livestock and Pests on Our Public and Federal Lands anyway, and congress agrees and laws passed to manage them as such, so why not profit from the occasion, any way we can? The excuses and terms developed to merely “not feel the guilt” of actually killing an innocent animal for money-only reasoning, or what many consider family members or service animals, the Horse. This is what develops when Bias, Ignorance, or those Schemers and Scammers grab a foothold in our society, and manipulate, and even develop propaganda, in order to make large “Profits for themselves, despite what it is they destroy. 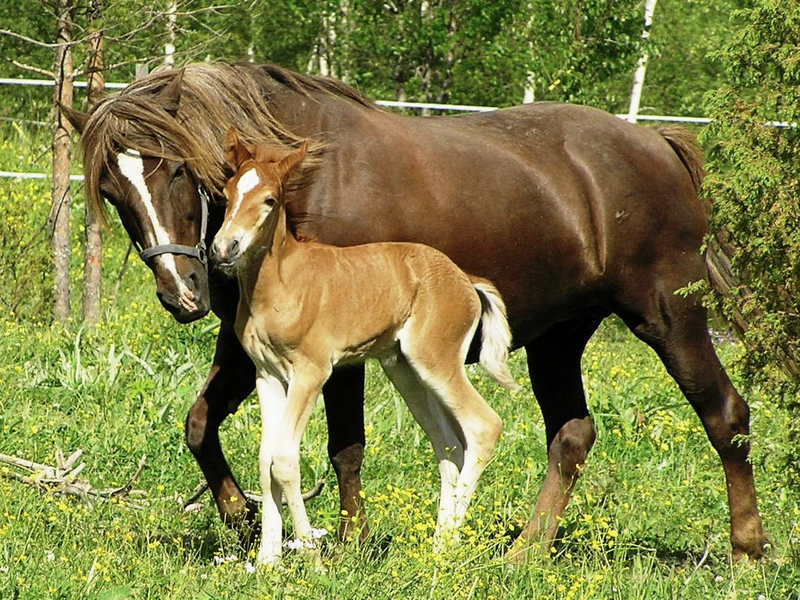 What must be accomplished in this matter, is the terms “Livestock” and “Pest” be neutralized, in the matters of the Wild Horses, and yes, within the domestic horse as well. On Our Public Lands, right now, we have some of the most misinformed, misguided, and unapproiate management paradigms that ever existed within the history of the United States. Not only is the Bureau of Land Management and the USDA forestry, tell us constantly, lie after lie about the actual health of Our Public and Federal Lands, that we pay them $-millions upon $-millions to manage properly and for Our, the Taxpayer’s, benefits; but they simply have No Science to back up their ecology or environmental management paradigms what so ever. The government’s Grazing Permit Programs are Corrupt, in total. Although, illegitimate science flows in vast amounts, that support a Single Species Paradigm of a non-indigenous species, cattle. No “Legitimate Science” supports these endeavors, and our Ecological Zones, which eventually interact in the long-range affairs into our nations “Overall Environmental” complex, suffers greatly. The Reality? Good science shows us we are even wiping-out Our own species, the Human Species, as we also wipe-out essential wildlife, grasslands, oceanic food chains, our climate, and much more – all in the name of one-species, of two or three industries. . . cattle, oil, and mining . . . and more corporate misinformed agenda’s (corporate non-profits) take advantage of these very corrupt paradigms, in the name of an odd re-termed cause of “Humane”, and yet simply promote the lack of integrity, lack of ethics, and dishonesty of the continuous tragedy, ongoing, toward Our Wild horses, Our Wildlife. Corruption, in total, is what we see constantly now, on Our Public and Federal Lands. Then we have organizations, corporate and non-profits alike, that are presenting more of a disturbance, that again, is backed by neither legitimate science, nor management paradigms at all. Their pretense of being “good” or “humane” is ridiculous – mostly their profit-driven statements simply support “corruption” entirely, when one actually pays attention to the reality of them. Not only can we do better, but we can become honest about things, and in the interim save the Wild Horses and America’s Wildlife . . . Honesty and Integrity, in reality, cost nothing, and free the last time I checked. Let me become even more clear. Those of us around horses, for decades now, can see things others simply do not. The situation, for example, to see how a horse owner, or rider, how they treat their horse, is very visible. We can see how heavy-handed or lack of Reins-Control, or even appropriate Collection Technique, from looking at the back hooves of the horse, at a glance. We can see when a person “fears” their horse, or the way they sit-the-saddle, and how uncomfortable or afraid they are of the horse. Then there exists those who assume they know everything about the horse, yet know nothing, as it is quite obvious, they have not either been riding for long, or their approach to talking about horses is, obviously, not of an experienced person. We can see this, very easily I might add. And these people, ironically giving information about horses to the general public, that does not know about horses! We have a human-problem here, of ignorance, mostly! There exist people on the present WH&B Board, who fit the description of inexperienced riders, quite well – and I see people applying for positions on the WH&B Board, that have no experience, but give people the pretense of having years of experience. 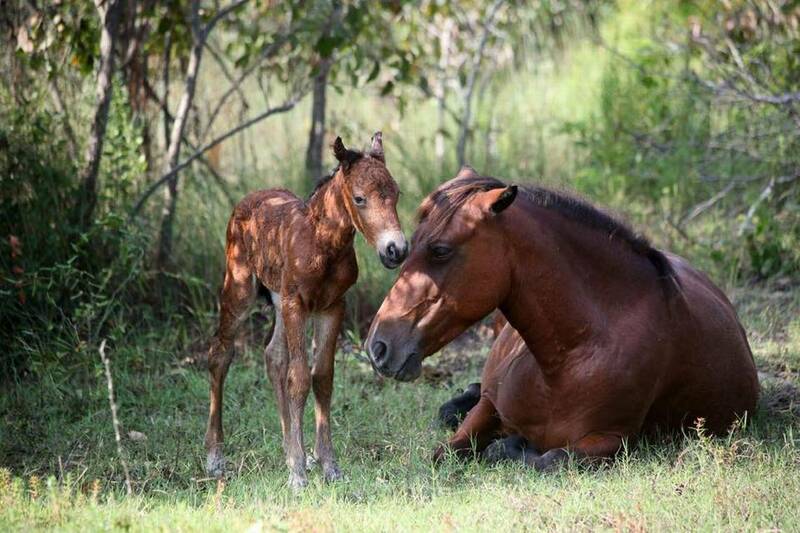 So here we sit, and the Wild Horse tragedy, is at Crisis Level, and need to be left alone! With this knowledge we move forward, legitimate knowledge, by the way, not pretend knowledge and backed by “profit oriented” mind-sets, that simply pretend they know everything. We move on to Science, and how Nature, inclusive of wildlife and terrestrial landscapes alike, establishes a “Moderation” of populations, or referenced as Population Ecology. . . The very basis of this “moderation” context is based upon population counts of species – science and appropriate data gathering is involved here, as well as “truthfulness” – “honesty” – and allowing the science-data speak for itself. Phonies, fakes, and know it all’s need not apply here (the Wild Horses already slaughtered due to these situations alone), because bias or bigoted opinions have no place in honest science; nor, does there exist a “facade” of science be presented to the public that is derived from a controlled template or speech, manipulations of what to say in order to “sell” bogus science to the public, to make them believe it is legitimate (i.e. wild horse band roundups, Pesticide PZP and other breed controls – forced upon an underpopulated species of wild horses — raises the Red Flags here of corruption, of dishonesty, of bad science, covering up the corruption for future profits). . . The dynamics of Population Ecology shows us, beyond doubt, that the population of a given species within a given habitat does influence the local population stability, its expected growth, and its likelihood of survival. In this interconnected world that is a functional “ecosystem” the fact is the population of one organism very likely to affect the population of others. Here we start to see just how inefficient and incompetent, and based upon lack of science and data the Single Species Priority of cattle paradigms are, and simply not of science, but of bias, of a bigoted mind-set driven by profit-oriented dynamics, that simply do not work in our Natural Habitats, never have – never will, as history quite clear on this particular subject . . . In ecology, a population includes all of the members of one species, among others, living in the same place. Population ecology is the statistical study of a local population’s birth rate, death rate, and other factors that influence the survival and reproduction of each. A study of how local wildlife and vegetation react to the overall environment. This dynamic alone, ignored by those who, ironically, manage our Public and Federal Lands, quite evident. Ignored is the fact of truth, honesty, and ethics, as well as the dynamic of offering land manager’s clues, or data, to advance their management paradigms for healthy lands, ecology, and much cheaper expense to provide a healthy environment. Taxpayer’s, just as the Wild Horses and Wildlife, presently on Our Public and Federal Lands, abused to the point of “Excess” as well as evident extinction (or in the case of tax-money, simply no longer available) Birth Rate vs Death Rates ratios show us the problem, quite well, I might add, but ignored by current government management agencies. The 1% of sales margins on our domestic-markets, of beef product, shows us quite well, that the $-millions upon $-millions of dollars thrown at the Grazing Permit programs on Public and Federal Lands, are simply unneeded, and a waste of money – and the only thing developing is our Public and Federal Lands are the worst, health-wise, then ever before in history – Science shows us this quite efficiently. This becomes an embarrassment to all American’s, when many observe the situation ongoing on Our Public and Federal Lands, and the incompetence that is even more obvious. Can we do better? Here we go, on the fact, not just science but actual fact of observation as well as data and information collection, our current government agencies blame such things as the Wild Horses, the Wolves, the Bears, the Coyotes, the Falcons, the Eagles, noxious weeds (lie upon lie to avoid the major issues, the incompetence of these government agencies to manage our Public and Federal Lands adequately and properly) and so many more wildlife, that things are just getting very ridiculous, more often than not. And the Grazing Permit Program? Numbers do not lie, when data collected within an honest, ethical standard, which equates to good science, not corruption nor corrupt and malicious science. Well, to cover-up the outlandish corruption, they simply reduce the cost of the grazing of Cattle AUM Units (i.e. one cow one calf), increase the amount of Grazing Permit Lands, and increase the amount of taxpayer money allocated toward Roundups and Breed Controls to attack the Wild Horses, even though there exists no overpopulation of Wild Horses at all, on Our Public Lands, nor do the Wild Horses destroy or devastate our lands (as good science shows us), and are not pests at all (given this title of “pests” by those who want to dart – essentially zero-out to extinction) the Wild Horses — with breed controls to control the “pests” as they say) – and, as I mentioned earlier, only 1% of Grazing Permit cattle product is sold domestically on the commercial market – and (this is extremely interesting and a truth the cattle industry cannot avoid) we see from the USDA statistics, 28% to 32% of all beef product sold domestically, is thrown away, due to longevity of shelf-life. Is there a purpose to the current Grazing Permit Programs? None! Population Ecology of our wilderness areas, our Public and Federal Lands, is more relevant now than ever before on Our Nation’s history. Biodiversity is more significant than ever before, as well. The forces that sculpt our populations, both human and in nature, living (biotic) and non-living (abiotic) forces, contribute to theirs’s and our growth, for a healthy environment to live within, or a decline, and ecological systems destroyed, our water undrinkable, our forests neglected, mismanaged and sacrificed for beef, the same with our deserts and wildlife in common. Overwhelmingly, we can do much better, than what is ongoing today, and what we are accepting as normal. It is more important, than ever before, when so much of biodiversity is threatened, continuously, is the fact we need to “understand” these forces, and not just shrug and repeat the constant-push of misinformation, that in reality is causing extinction of our Wildlife, our Wild Horses, our Grasslands, our oceanic environment – our taxpayer money simply wasted on these current paradigms of mismanaged lands and falsified and mismanaged Wild horses? Disrespect from government agency personnel, our legislators working only for corporations and not taxpayers or American’s in general, disrespect from corporations and non-profits alike (charitable organizations supposedly use donation-money to save our wilderness as well as wildlife and our wild horses, instead use it as their personal piggy banks and increase their 0wn living standards). We can do better, much better! Honesty, respect, ethics, and truthful science needed! The bottom-line of it all! Stand up Now, for our wild horses, and actually ourselves, as the Human-Species in danger as well, and from all of this ignorance, bias, and Corruption! STAND UP – TIME FOR AMERICA TO SPEAK! WE DO NOT NEED TO ACCEPT CORRUPTION! NEVER!